PARIS (AP) — A second person has died in France amid nationwide protests against fuel tax hikes that saw hundreds injured and key roads paralyzed by demonstrations. The French Interior Ministry sent its “sincere condolences” in a Wednesday statement to the family and friends of a motorcyclist killed in an accident near a dam Monday in the southeastern Drome region. The ministry did not give details about how he was killed. A protester was killed in a road accident Saturday as more than a quarter million French drivers blocked roads. 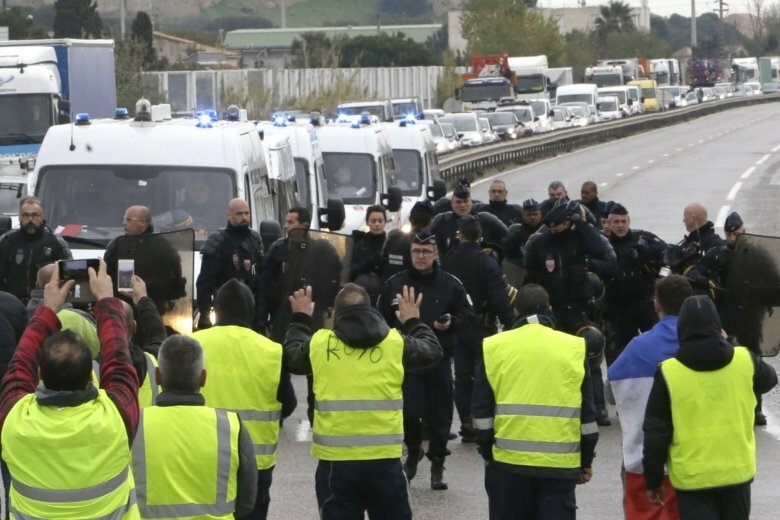 Scattered protests continued into their fifth day Wednesday on roads across France by drivers dubbed “yellow jackets” for the neon vests they sport. The Interior Ministry condemned the violence that has led to 552 wounded protesters and 95 wounded police officers.